Colleges use the SAT and SAT Subject Tests, to varying degrees, as admissions factors when evaluating your application. The biggest difference is that unlike the SAT, which tests general knowledge and critical reasoning, SAT Subject Tests are designed to measure knowledge in specific areas, such as biology, history, French, or math. Many colleges require SAT/ACT scores as part of a complete application. A smaller portion of colleges require or recommend SAT Subject Test scores, though most schools will consider your scores if you submit them! Think of your Subject Test scores as another piece of admissions information (like taking Honors or AP classes) that helps give colleges a complete picture of who you are and what you’re interested in. Destined to become a biology major? Taking the SAT Biology test demonstrates your abilities and enthusiasm. Good SAT Subject Test scores can even exempt students from certain college requirements like a first-year composition class or foreign language requirement. Colleges use SAT (and ACT) scores to make admissions decisions and award scholarships. College use SAT Subject Test scores for admissions and course placement. Selective colleges may require or recommend you take 1 or more Subject Tests. 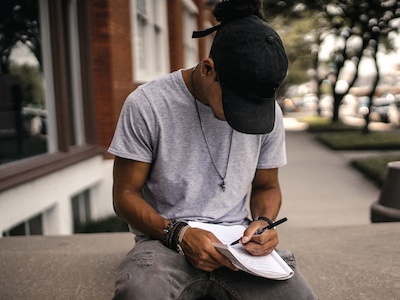 Since your performance on SAT Subject Tests can give your college application an edge (and sometimes determine which classes you'll take your first year in college), it’s important to prepare. Keep in mind that prepping for the SAT isn’t the same as prepping for a specific SAT Subject. Here's what you need to consider. You can’t take the SAT and the SAT Subject Test on the same test date. But you can take 3 Subject Tests on one date. Not all subjects are offered on each test date though, so check the testing schedule carefully. Not sure which subjects to take? 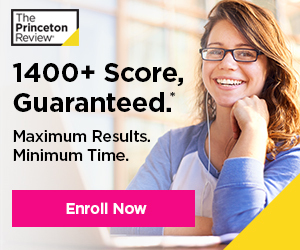 Unlike the SAT, your performance in your high school courses is a fairly decent indicator of the SAT Subject Tests on which you will perform best. So consider taking tests related to classes you’re acing. 2. Take SAT Subject Tests after completing the related HS class. SAT Subject Tests are intended to reflect what you’re learning in school, so it’s a good idea take them soon after finishing the corresponding high school classes. For example, take SAT Literature after completing your AP English Literature course when details from the class are still fresh in your mind. 3. Know exactly what to expect. The SAT Subject Test is multiple-choice, just like the SAT, but each subject has its own question types and directions. (SAT Chemistry, for example, has special instructions.) Don’t walk in unprepared for what you will face. Check out our suite of SAT Subject Test prep books for subject reviews, test-taking strategies, drills, and practice tests. Practice questions are also available from the College Board. 4. Hone your test-taking strategy. Just like the SAT, test-taking strategies (along with subject review) will help you score higher on SAT Subject Tests. 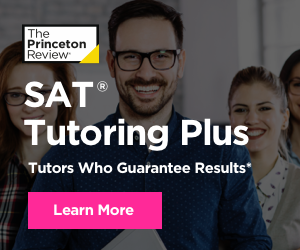 Our test prep tutors can help you craft a winning strategy for tackling the SAT Subjects of your choice. 5. High school helps you study. Taking challenging courses and studying hard all year is a great way to prepare for SAT Subject Tests. Our tutors are online 24 hours a day to help you in over 40 subjects.